The name "ISIS", "ISIL", or in Arabic, "da'ash", is no more. On June 29th, 2014, the top leaders of the group announced the reestablishment of the Khalifah (Caliphate) in the areas under their control in Syria and Iraq. Abu Bakr al-Baghdadi, the emir of the group, was subsequently appointed Khalifah Ibrahim (Caliph Ibrahim) after his real name, Ibrahim ibn Awwad ibn Ibrahim ibn Ali ibn Muhammad al-Badri al-Husayni al-Qurashi. They have since dropped the "fil-Iraq wash-Sham" part of their name and are now calling themselves simply, "The Islamic State", or "ad-Dawlat al-Islamiyah" in Arabic. The term "Islamic State" will be referred to as "IS". Indeed, al-Baghdadi has certainly fulfilled what he calls his "duty to Usama bin Laden". The move to reestablish the khalifah could have substantial positive consequences for the group in the world of global jihad; at the same time, however, it could also have adverse effects. Looking at the positive possibilities, this move could attract larger amounts of foreign jihadists to the cause of IS. While IS already has a large contingent of foreign fighters, with whole brigades made up of certain nationalities (of which, Australians make up the largest number of foreigners per capita), this move could further highlight to other foreigners that the IS is the more "exciting" and "successful" group. Moreover, it could attract more defectors from al-Qaeda into the fold of IS. Being that both groups want to reestablish the khalifah and both share the same ideology, al-Qaeda (AQ) has never been successful in doing so. While AQ has held significant ground in Afghanistan, Pakistan, Mali, Yemen, and Somalia, none has never been as significant as ash-Sham. The Umayyad Caliphate, the largest of the caliphates and fifth largest empire in history, had its capital in Damascus. The mere fact that they have claimed to reestablish the khalifah in the same area of the center of the Umayyad Caliphate wields a huge propaganda and even religious significance. IS will undoubtedly use this as propaganda to attract more AQ defectors. Even further than individual defectors of al-Qaeda, IS could potentially see entire groups within the al-Qaeda Network or the al-Qaeda sphere of influence switch teams. If this scenario were to actually become true, it is more likely that groups in or near the Levant stands the biggest chances of actually switching sides. Earlier in the year, Ayman al-Zawahiri, the emir of al-Qaeda, issued a statement entitled "The Liberation of the Circle of Inefficiency and Failure". In this statement, he explicitly mentioned three areas that are and should be the main destinations for jihad: Syria, Egypt and Chechnya. The omission of areas like Yemen, the Sahel, Somalia or the areas of Afghanistan and Pakistan (AfPak) could alienate some groups to the point of defection. Switching over to the negative side of things, this move could further the jihadist infighting currently happening in Syria (and there have been some reports of small-scale infighting in Iraq). From the official statement of the creation of IS, "We clarify to the Muslims that with this declaration of khilāfah, it is incumbent upon all Muslims to pledge allegiance to the khalīfah Ibrāhīm and support him (may Allah preserve him)". This level of perceived arrogance is likely to further alienate the group from moderate Muslims and even enrage those jihadists who see this move as a power-grab and/or a premature move. The aforementioned groups within the al-Qaeda Network or sphere of influence also has the possibility of not even occurring. Throughout the infighting, most groups within these two al-Qaeda-headed tiers remained relatively quiet about the fighting between ISIS and Jabhat al-Nusra, the official AQ group in Syria. Those groups who did comment on the infighting, like Mokhtar Belmokhtar's al-Mulathameen Brigade, often sided with Zawahiri rather than Baghdadi. Being that Nasir al-Wuhayshi, the emir of al-Qaeda in the Arabian Peninsula (AQAP) is also the general manager of the entirety of the AQ Network, I find it hard to think that AQAP will defect to IS. In the same light, the AfPak-based groups are so intertwined with al-Qaeda in the region it would make it hard for them to shift allegiance elsewhere. Many state-actors in the region, namely Iraq, Iran, Lebanon, Israel, and Jordan (one might be able to argue Turkey, but they have been accused of supporting ISIS in the past), will undoubtedly see the reestablishment of the khalifah as an even bigger threat to their security coupled with the military advances of IS inside Iraq. Military action by state actors, while is already happening by Iraqi, sometimes Syrian and quite possibly Iranian troops, has a greater chance of happening now that Jordan, Lebanon, and Israel all feel threatened. If IS begins to take the fight to Lebanon and/or Jordan, like some analysts fear, it becomes almost a near certainty for more military action against IS. Another downside that comes along with controlling large swaths of ground: Not being able to hold on to said ground for very long. Like al-Qaeda forces in Mali, or Somalia, or Yemen, or Iraq in the days of al-Qaeda in Iraq, or even like the Taliban in Afghanistan, IS will probably not be able to hold on to their khalifah for very long. Daveed Gartenstien-Ross of the Foundation for the Defense of Democracies says: "Although non-state militants are formidable, they have no real response to their enemies’ air-power advantage, and haven’t been able to hold territory against the advance of professional militaries". When IS begins to lose ground, their propaganda value could begin to downgrade. Furthermore, the loss of ground could prompt IS to take a less egotistical approach to both the global jihad and al-Qaeda. Like the above paragraph implies, IS is now in a position where they will need to hold on to their captured territory. Despite having a number of grievances with various groups inside both Iraq and Syria, they might need to start relying on them to help. For instance, Ansar al-Islam (AAI), a group founded in 2001 that is within the al-Qaeda sphere of influence, is a regional rival of IS. However, AAI is taking part in the "blitzkrieg" led by IS. Even though they are rivals, IS needs AAI to relieve pressure from them to take over various northern cities and avoid the risk stretching themselves too thin. In return, AAI gets to take the fight to the Iraqi military and government with the backing of a strong, well-equipped group that has numerous other allies taking part in the fighting. The same might happen with Jabhat al-Nusra (JN) in parts of Syria. For example, IS could promise JN to not attack them in (insert city here) if JN lets them take this road or that crossing. In the same light, JN could promise ISIS to help them (insert city here) if ISIS retreats from "this". While they have been fighting, both share a mutual goal here. Ideology can and has historically been put aside to further mutual goals between two opposing groups. Without some levels of coordination between the two (or any other al-Qaeda group in the region, like Ahrar ash-Sham or Ansar Sham or Sham al-Islam), victory cannot be achieved. These small agreements could, potentially, lead to larger agreements for reconciliation. Continuing to fight each other does no one good. However, the "requirement" for all Muslims to swear bayah (allegiance) to Baghdadi certainly ups the chances of more infighting occurring in both Syria and Iraq. In fact, nine different groups and coalitions of Syrian rebel groups, including Jabhat al-Nusra, refused to swear allegiance to Baghdadi. Those groups in Iraq fighting alongside IS now have a serious choice to make: Swear allegiance or fight them. While IS supporters will rejoice that Baghdadi has finally achieved what he set out to do, their jubilation may not last long. The reestablishment of the khalifah poses both positive and negative possibilities for the group from everyday, moderate Muslims, to jihadists, to other terrorist groups and even to state-actors. IS might also have to reach out to its rivals if it wishes to be successful at this reestablishment. One thing is for certain though: Only time will tell what happens. Note: The picture above is allegedly the new flag of IS. Note v2: I added an analysis of the refusal of allegiance by nine rebel groups in Syria. The developing situation in Iraq has taken another negative turn, as reports have surfaced that the Iraqi and Syrian governments have been cooperating with one another to strike the Islamic State of Iraq and Syria. There have been two confirmed joint operations: the first was when Syrian and Iraqi forces worked with one another to strike ISIS positions last week, the second was more recent when a Syrian strike on an Iraqi border town which killed 57 occurred. On one hand, I don't think anyone should be surprised. Iraq and Syria both share both a common enemy and religious orientation, which naturally makes a cooperative relationship appear beneficial to their respective securities. However, while this may result in tactical victories, pursuing stronger ties with Damascus and Tehran will ultimately prove to be strategically foolish for Baghdad. During the last iteration of civil strife in Iraq, security was restored not only due to a surge in American forces from 2007-08, but also the Anbar Awakening. Following the initial invasion of Iraq, a political vacuum emerged that coalition forces were unable to fill. The result was Al-Qaeda flowing into the country, quickly establishing links with Sunni tribes. However, in 2005, the Sons of Iraq formed as a counter movement to Al-Qaeda and Sunni militias that were fighting against America and the nascent Iraqi government. Within a year, the Sons of Iraq was a nation-wide movement. As violence steadily increased throughout 2006, ﻿Sheik Abdul Sattar Buzaigh al-Rishawi﻿ established the Anbar Awakening Council to unite Sunni tribes against Al-Qaeda in Iraq. This was ultimately integral in ending the civil war in Iraq. Following our withdraw from Iraq in 2011, the Sons of Iraq were slowly disbanded. While this was a sensible move, because no country should have two religiously distinct armies, Maliki failed to provide ample job opportunities for returning members. As a result, many former members were left unemployed by 2013. Furthermore, his increasingly sectarian policies served to ostracize the Sunni community. After America withdrew, there was a purge of Sunni officers among the upper echelons of Iraq's military command structure. Many Sunnis not only feel as if the Army's composition does not adequately reflect their demographic, but also that Maliki was persistently using their sect as a scapegoat. A synthesis of unemployment and marginalization provided the perfect pool for recruitment by ISIS and other terrorist groups operating in Syria. As a result, by early 2014, ISIS managed to seize Fallujah and Ramadi. Maliki's lethargic military response, inability to protect Sunni populations from abuse, and belligerent sectarian remarks only served to worsen the situation. Sunnis increasingly viewed the Iraqi government as a hateful, inept entity. As VICE News reported, many citizens in captured cities feel safe under ISIS, which they could not say when the military handled the security situation. While we may not like Al-Qaeda, their affiliates, or their breakaways, we should sympathize with the yearning many Sunnis have to live peaceful, safe lives--even if that's under a Wahabbist terrorist group they don't particularly agree with. Now, Iraq's government is coordinating with an unpopular Shiite regime to kill Sunnis. Instead of decrying Syria's actions against Iraqi citizens, it appears as if Maliki was complicit in their attack. This will only further reinforce present resentment in Sunni populations, making a fruitful counter-insurgency strategy even more difficult to implement. Without a wide attempt at reapprochement between the Iraqi government and Sunni tribes, combating the insurgency will be unnecessarily long, casualty-intensive, and destabilizing for the entire region. Further worries stem from Baghdad's ties with Tehran. Several articles have surfaced alleging that Iran has deployed 500 members of the elite Quds Force and the Iranian Revolutionary Guard Corps' commanding officer to assist Iraq in its defense of Baghdad. Not does this supplement Maliki's blatant sectarian policies, but it also allows Iran far more influence in the Middle East. Maliki's actions signify a realignment that leaves Iraq even closer to Iran's political clout. But Iraq is not the only actor that can be blamed, America's dithering policy in Syria ultimately allowed for Jihadist organizations like ISIS to become so large and well-equipped. If America had initially worked more closely with the Free Syrian Army, then perhaps the situation in both Iraq and Syria would be different. Now, it appears as if we've passed the golden opportunity to fund religiously moderate Syrian groups, and we're certainly reaping the consequences of that failure. If we intend on ensuring that the epicenter of the world's energy market remains somewhat stable, then it is necessary that we increase our involvement with Syria's opposition. For his part, it seems as if Obama has begun to do just that by proposing 500 million dollars in aid to Syrian rebels. However, without Iraq agreeing to domestic policy reforms, it appears as if a great deal of developments in both Syria and Iraq will happen outside of our control. On April 18th, 1983, sixty-three people, including seventeen Americans, were killed in a car bomb attack at the US Embassy in Beirut, Lebanon. A group called the Islamic Jihad Organization (IJO) and its leader, Imad Mughniyah, quickly took responsibility for the attack. To be positive, the IJO is the international wing of Hezbollah activities. However, Hezbollah is much more than just a terrorist organization; they are a political party, they are a social organization, they are a militia and they are a terrorist organization--this article will focus on the latter. While at one point, Hezbollah (In Arabic, Hizb Allah means "Party of God") was the best group at killing Americans, Hezbollah focuses a lot of attention on fighting Israel. Indeed, to act as a resistance to Israeli occupation is an outlining factor into why they were formed. In recent years, however, their attention has faded away from Israel and to helping Bashar al-Assad stay in power in Syria, as well as supporting Iran's shadow war with the West. Having said that, the Party of God could begin to shift back to fighting Israel. Hezbollah was formed in the early 1980's as a result of Iran wanting a Lebanese-proxy against Israel (Levitt). As I said before, Hezbollah was formed, in part, to be the resistance against Israeli occupation following the 1982 Israeli invasion of Lebanon. Iran, for their part, made sure each new recruit attended an Iranian Revolutionary Guards Corp-Quds Force (or simply, Quds Force) training camp in the Bekaa Valley (Levitt). Hezbollah is also known to vehemently support an Iranian ideology called velayat-e faqih (guardian ship of the jurist). This ideology essentially says that a Shia cleric can also serve as the head of government. It is thought that Iran still gives Hezbollah around $200 million to fund their terrorist activities, their political and social activities, as well as their media wing (Levitt). Since the 1980's, however, they have developed an extensive network of global connections and ties to various militant groups and even Mexican drug cartels. Utilizing these connections allows for Hezbollah to support Iranian activities around the globe. For instance, it is thought Hezbollah acted upon the behest of Iran when they launched the Burgas terrorist attack in Bulgaria in 2012. Even further, several Hezbollah operatives were arrested in Baku, Azerbaijan in 2006 and 2008 and charged with plotting against Israeli and American interests there (Levitt). These international connections are thought to be as a result of both Iranian influence of the group and the ambitions of the leader of their international wing, Imad Mughniyah. Mughniyah, born in Lebanon, was not only in charge of their international wing, but also their military and intelligence wings (Levitt). Mughniyah was thought to be behind some of the groups most spectacular and devastating bombings and hijacking in the 1980's. In fact, the CIA has accused him of killing more Americans than any other militant before 9/11. 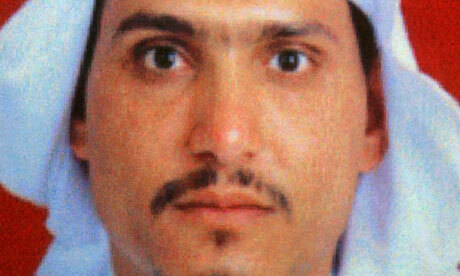 He was killed in 2008 in Damascus, Syria by an assumed Mossad assassination. "Over the course of the always intimate relationship between Iran and Hezbollah, the head of the Quds Force or other senior Iranian leaders might have told Hezbollah to "jump" and the response would have been, "How high?" (Levitt). Based on what this passage tells us, it is easy to surmise that Hezbollah does the bidding of whatever Iran wishes. This is why we saw Hezbollah operatives perpetrating a terrorist attack in Bulgaria, why several operatives were arrested in Azerbaijan plotting an attack, and why several members were arrested in Thailand and Cyprus for the same thing (Levitt). It should come as no surprise as to why Hezbollah is currently fighting on the side of the regime in Syria. The Assad regime is a key partner to both Iran and Hezbollah, and Iran needs Assad to stay in power. Hezbollah seems more than happy to intervene in Syria at the behest of their masters in Iran. Even further, Iran asked the same of Hezbollah during the US-led War in Iraq. 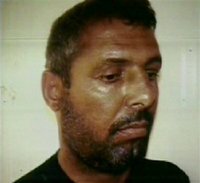 During the fiercest time of sectarian killings in Iraq (2006-2007), a Hezbollah operative by the name of Ali Moussa Daqduq was charged by Iran to be their liaison in the coordination of the training of several Shia militant groups (Levitt). But not only that, Hezbollah operated several training camps for several Iraqi Shia militant groups--these groups were dubbed the "Special Groups" by the United States. This only further shows their commitment to Iran. Despite being a force to be reckoned with in the battlefields of Syria, Hezbollah's activities in the country are not coming without a price. Indeed, several car bombings attributed to Sunni al-Qaeda organizations, Abdullah Azzam Brigades and Jabhat al-Nusra in Lebanon have targeted both Hezbollah and Iranian assets. As a result, Hezbollah's popularity has been seemingly declining among the Lebanese people. The people do not want to upset the fragile balance between Sunni's and Shi'ites in Lebanon; this is something Hezbollah is seen as toying with in their intervention in Syria. As more bombings, fighting and chaos occurs in Lebanon due to spillover in Syria, Hezbollah will probably continue to lose support. In the event that Hezbollah feels like they need to regain support from the Lebanese Shia community, their crosshairs could turn back to Israel. This could be already happening with a recent bombing on Israeli military outpost by Hezbollah. Hezbollah will have to prove to the people of Lebanon, whom they have been supporting since the 80's with various social services, that their focus is still on Israel. Being that Hezbollah has operated in Iraq before, it stands to reason that Hezbollah could begin to be involved yet again in the wake of the Islamic State of Iraq and ash-Sham's blitzkrieg in Iraq. The ISIS blitz has since set off a fervor of sectarian passion among both Sunni's and Shi'ites. In fact, the head Shia cleric in Iraq has issued a call to arms and Moqtada al-Sadr's infamous Mahdi Army has thought to have been mobilized again. If push comes to shove in Iraq and we start to see another sectarian civil war in Iraq, I would not doubt Hezbollah will again be operating in Iraq at the behest of Iran. Now, being that they want to rollback their negative image in Lebanon, we may not see the same levels of intervention as in Syria or previously in Iraq. I believe training of troops would be the most obvious contribution to the crisis by Hezbollah. I also do not rule out the possibility of this already happening being that the Quds Force is thought to be helping in the fight against ISIS. By going to Syria at the behest of their patron Iran to defend their mutual ally Bashar, it removes any doubt that they most certainly are a global organization doing the bidding of Iran--leaving the citizens of Lebanon, whom they are supposed to protect, susceptible to more violence. This violence will be from Sunni groups, like the AQ-linked Abdullah Azzam Brigades or even al-Nusra, fighting between Sunnis and Shi'ites in the Bekaa because of Syria, or even the Lebanese state. This will most definitely upset the balance Hezbollah has tried to maintain. Moreover, I see Hezbollah trying to attack Israel to be even more likely the longer they are in Syria. This has nothing to do with expanding that war; rather, its about shifting the focus, or appearing to shift it, back to Israel, the original enemy. Inadvertently in doing so, however, this will probably result in the expansion of the war in Syria. But the thinking in doing so, in Hezbollah's eyes, would be to show the Shi'ites of Lebanon that they are still the vanguard against Israel and maintain the power and influence they wield in Lebanon. Hezbollah also stands a good chance of getting involved in Iraq the more Iran gets involved in Iraq. Hezbollah: The Global Footprint of Lebanon's Party of God by Matthew Levitt. As turmoil in Iraq continues to develop, ISIS militants inch close and closer towards the heartland of oil in Southern Iraq. The threat became fully apparent on Wednesday, when ISIS militants attempted to seize control of Iraq's largest oil refinery, but were repelled by security forces at the facility. Uncertainty regarding Iraq's future has resulted in economic reverberations in the United States. The DOW Jones dropped 102 points on June 12, and oil prices have crawled up to $115 per barrel. Hikes in oil prices have affected Americans at the pump, we've now reached a national average of 4 dollars per gallon of gas, which is the point where Americans begin feeling the heat from prices. Relatively speaking, Americans are insulated from increasing costs that naturally stem out of crisis. Due to laws that developed out of the 1973 oil crisis, American crude can only be sold so long as the Federal government deems it consistent with our national interests. Regardless of if it is a positive policy on balance, this means that oil prices are naturally lower in America vis-a-vis Europe. Gas prices in the Europe are routinely higher than in America and regularly reach as high as 10 dollars in some places during times of economic distress. While many champion the American oil boom as being a remedy to the problem of having the world's energy supply situated in the most politically volatile country on earth, the International Monetary Fund has said that international oil prices are more closely tied into Iraq's oil output than America's (partially due to the aforementioned restrictions on exports). Luckily, it seems as if the American economy will be able to withstand the increasing turmoil in Iraq. Macroeconomic Advisers, a Saint Louis-based economic consulting firm, has not revised its forecast for the American economy. Even a draconian increase in oil prices--say, $10 per barrel--would only slow down economic growth by two- or three-tenths of a percentage. This would translate to an unfortunate reduction in the speed at which our economy expands, and a slower decrease in the unemployment rate. But overall, the transpiring events in Iraq thus far hardly represent a major threat to the American economy. With that said, if Iraq is unable to get a handle on the advance of ISIS militants, then America could be faced with a major crisis. Ifinsurgents managed to take most or even all of Iraq's oil fields, then prices could skyrocket exponentially. This, of course, would have an enormous impact on global financial institutions. To use a point of comparison, the 1973 oil crisis set off an era of stagnation in the Soviet Union, stagflation in America and Europe, and (more positively) resulted in Japan shifting its economy from oil intensive industries to electronic based ones. Granted, as a qausi-state actor, ISIS would more than likely continue to sell oil from refineries that it seizes. But as we've seen in Libya, reinvigorating oil industries ravaged by conflict can be extremely difficult. Further, it's questionable if the United States and its allies would do business with a terrorist state. Therefore, it is essential that America ensure that Baghdad is able to regain control over renegade provinces. Most importantly, policies promoting sectarian divides between Sunni's and Shiites need to be implemented. However, building intelligence architecture, providing greater air power, division-level planners and advisers, and SOF should be offered as well. A common refrain you'll come across both in life and on the internet, is the belief that American power renders the threat emanating from [insert geopolitical monster of the week here] either of little importance to our overall interests or, less often, irrelevant. This rather naive view of strategic success is rather akin to believing that global interactions are nothing more than a large scale version of the card game War, in which powers stack up their respective militaries in a line and proceed to duke it out until the country with the highest value is left standing. No doubt, American conventional superiority has ensured us a remarkable degree of security. However, casting power as a surety for strategic success is fallacious. Asymmetrical strategy, for example, hinges upon the belief that lesser powers can obtain victory over stronger opponents--an idea that has been validated in both theory and practice. Such asymmetric strategies are being employed by our competitors, like China, Iran, and Russia. All three have a very robust anti-access/area denial capability which can disrupt NATO/multilateral operations in event of war. Most notably, China's huge reserve of ballistic/cruise missiles, submarines, and mines enable it to effectively carve out an inaccessible area of ocean up to the first island chain. Despite our ability to best China's fleet in a conventional, World War Two-style naval engagement, they have created a strategy that can target our weaknesses: everything from gaps in our missile defense to our cyber infrastructure. However, Iran and Russia are not to be ignored. NATO's ability to respond to rapid territorial aggression in Eastern Europe by Moscow would be severely hampered by a flurry of ballistic missiles launched at incoming supply lines. Though it has been over a decade since Operation Mellinium Challenge 2002, both Iran's ability to close down the Strait of Hormuz--if only temporarily--and America's vulnerabilities in littoral areas remain apparent, even as we continue forward with programs designed to help us "win" in such environments. But perhaps more broadly, we've seen less capable nations match or exceed our own geopolitical influence on a regional level. In rather Cold War-esque fashion, some of the biggest strategic victories are being won under the veil of political subversion, covert operations, and back door economic support. Arguably, NATO remains far more vulnerable to a Ukraine-style invasion of a member state than a conventional invasion envisioned by the strategists of Cold War-era battle plans. The Baltic states all possess significant ethnic Russian populations, with a large portion feeling closer to Moscow than their respective governments. Should Russia arm internal dissidents in Baltic, how would NATO respond? Potentially with a prolonged insurgency against ethnic insurgents, which would enable Russia to wage war against the alliance via prolong. However, would they retaliate against Russia, risking a conventional conflict and its associated economic impacts? It's a question that I cannot begin to answer, but I will say that America did not attack the Soviet Union over its support of North Vietnam (which included shooting down U.S. aircraft). But at the same time, South Vietnam was not a NATO member. Iran has created a regional network of non-state and state alliances, which has enabled it exert a large degree of influence in the Middle East. Hezbollah, one of the major non-state actors engaging in conflict within Syria, is funded and guided by Iran. With the help of tactical advice, training, and weapons shipments from Iran (coupled with war's version of natural selection), Syria's third-rate army has evolved into a resilient and effective force that has achieved several strategic victories against opposition forces. On a more economic level, Iran's tanker fleet has circumvented oil embargoes on Syria, which has kept the regime's war machine rolling on. In terms of political subversion, Iran was responsible for backing the 2007 coup that supplanted the Palestinian Authority with Hamas in the Gaza Strip, a major setback for Israeli security and American political interest in the territories. In Iraq, Iran has reportedly deployed 500 members of the Iranian Revolutionary Guard Corps to the country and dispatched the Quds Force's leading general to coordinate the defense of Baghdad. Conventional power is important, but it does not always translate into strategic success. Asymmetrical opponents have devised dangerous ways to defeat our military forces. But perhaps more imminent, regional powers have been expanding their influence in ways America cannot match without risking the very likely possibility that our efforts will backfire. As these situations continue to develop, citizens and policymakers alike will have to remember that threats don't always come in the form of armies and terrorists--it's the ghosts fomenting unrest in the corner that can pose the true threat. On June 16th, 2014, ash-Shabaab, the Somali-branch of al-Qaeda, murdered forty-eight people watching the World Cup in a coastal Kenyan town. What was once thought of as a local organization primarily focused on fighting inside Somalia, the group shattered this narrative when they and their Kenyan-affiliate al-Hijra, attacked the Westgate shopping mall in Nairobi and killed almost seventy people. But what does this mean for the region and can the United States do anything to stymie the threat? Al-Qaeda has always been active in east Africa dating all the way back to the early 1990's. Sayf al-Adel, a top military commander for al-Qaeda and a suspect in the 1998 US Embassy bombings in Kenya and Tanzania, was active in Somalia as early as February of 1993 and established a training camp on the Kenyan border. It is thought that some of his graduates took part in bloody Battle of Mogadishu (1993)--better known as "Black Hawk Down". Another top al-Qaeda commander, Fazul Muhammad, another suspect in the 1998 US Embassy bombings, also took part in the battle. Fazul would later be named the leader of al-Qaeda East Africa (AQEA), as well as the military commander of ash-Shabaab before his death in 2011. Even further, Usama bin Laden (UBL) officially took refuge in Sudan after his exile from Saudi Arabia in 1992 (read: "Understanding Terror Networks" by Marc Sageman). The group ash-Shabaab, however, traces its origins back to a group called the Islamic Courts Union (ICU) and an earlier group by the name of al-Itihaad al-Islamiyya (AIAI). AIAI was a radical jihadist group operating in Somalia, that received funds from wealthy Saudi's (including one Usama bin Laden). AIAI also reportedly helped AQEA launch the coordinated suicide attacks on the two embassies; something that landed them on the UN's list of al-Qaeda associated individuals and entities in the wake of 9/11. The leader of AIAI, Hassan Dahir Aweys, would later go on to found the Islamic Courts Union. The ICU officially took over Mogadishu and large swaths of ground in southern Somalia in 2006. The Transitional Federal Government (TFG), a makeshift government set up in Mogadishu by Western powers, along with Ethiopian troops as a part of AMISOM effectively ran the ICU out of all their major strongholds and the ICU was disbanded. Their militant-wing ash-Shabaab however, remained committed to the fight. Starting in 2009 when Ethiopia withdrew, Shabaab quickly began to retake lost ground. Clicking here will show you how much ground Shabaab took back after their offensive on the TFG began in 2009 and almost a year later (on the right). Fortunately, this tide has since been turning with Shabaab losing more ground to the US-backed AMISOM mission, including their main financial hub Kismayo. While al-Qaeda had long since praised and published propaganda pieces on the ICU, Shabaab officially joined al-Qaeda in 2012. The link also provides a slew of names of top al-Shabaab/AQEA operatives, which provides an excellent insight into the groups connections and prowess--it should also be noted that there are several American members of Shabaab. Some of the leaders have since been killed, but I don't think that takes away from their potency. I also want to take the time (this could go on and on for a few posts) to point out that Shabaab also has at least one state supporter: Eritrea. Like mentioned above, the notion that Shabaab is just a local group should be long since gone by now. It should have been gone in 2010, when they killed seventy-four people in Uganda, but I digress. Since a renewed US-backed AMISOM mission started in 2012, Shabaab has threatened retaliatory attacks across the Horn of Africa. Besides the aforementioned attacks in Kenya, Shabaab has also been responsible for attacks in Djibouti. Djibouti, a tiny country neighboring Somalia to the north, also hosts the only US military base in the region. As a result, Shabaab has threatened more attacks there. Not only that, but they have threatened to conduct more attacks in Kenya, Uganda and even the United States; the latter of which sometimes directly intervenes. But let's also look at Shabaab's connections to other al-Qaeda groups. Shabaab is known to financially support Boko Haram. They have a "terror partnership" with al-Qaeda in the Arabian Peninsula (AQAP). Shabaab is also said to be "synchronizing their actions with Boko Haram and al-Qaeda in the Islamic Maghreb (AQIM)". No matter how you look at it, Shabaab is a well-connected group and appears to be advancing al-Qaeda's goal of the global jihad. Looking specifically at the "terror partnership" with AQAP, this could be a dangerous scenario if both of these groups begin to seriously work together to target the United States. A "terror partnership" between the two should also come as no surprise. With close proximity and knowing al-Qaeda branches share resources and fighters, it only makes sense. Pooling their resources together, they would be able to effectively use AQAP's bomb making methods and Shabaab's excellent recruiting methods in the United States to conduct terrorist attacks here. By "synchronizing their actions with Boko Haram and AQIM", Shabaab could extend their reach from the Horn of Africa to the heart of Nigeria and even into Mali and Algeria. All three could pool their resources together and effectively threaten US interests in a large portion of Africa. What can the United States do? The United States can continue to work with regional partners in the area to combat the threat of Shabaab and to mitigate the relationships between Shabaab and various other al-Qaeda affiliates and branches. Working with African troops to build up their capabilities, assisting them in battle with intelligence support and even aerial support, as well as conducting military raids and drone strikes when needed. The United States also need to be investing in the political, social and economical factors of terrorism; working with the regional governments to clamp down on recruitment efforts, to help their economies grow, to work with political and social leaders, and to encourage religious leaders to speak out against Shabaab. The United States will also need to work to influence state actors, like Eritrea, to stop funding Shabaab and/or discouraging their citizens from doing so as well. The threat emanating from Somalia extends beyond the region of the Horn of Africa; It is expanding across Africa and even into the Arabian Peninsula. One day, it could even begin to stretch westward. We should be trying to stymie their aspirations of attacking us. Note: It is usually seen as "al-Shabaab", but as a student of Arabic I prefer the correct way of transliteration. In Arabic there are essentially "sun" and "moon" letters. "Sun" letters absorb the lam (the l in al) into the initial sound of the following noun. So, shiin (the "sh" sound) is a "sun" letter. Knowing this, it should be "ash-Shabaab". There's your Arabic lesson for today. What do North koreans, red lines, Palestine and hostages have to do with Iran's nuclear program? little to Nothing. Since the interim agreement with Iran over its nuclear weapons program last November, there has been a mainstream dearth of reporting concerning the prospect of Iranian proliferation in the Middle East. The most recent announcement by Itai Brun, Israel's senior military intelligence analyst, that Iran has upheld its side of the nuclear deal has largely gone unreported by CNN, Fox News, and MSNBC. However, while these mainstream titans have been sleeping, Clifford May may has met this piece of what should be celebrated news with a criticism of American diplomatic efforts with Iran. For the purposes of this post, I will be addressing four arguments posited by May: First, that the Iranian nuclear deal is analogous with the North Korean nuclear deal. Second, the Syrian red line debacle has severely impacted Iran's calculus on reaching the weaponization precipice. Third, Iran's release of hostages stemmed out of fear that Reagan would utilize military strikes if the did not comply with our negotiation demands. Fourth, American support of the Palestinian Unity government will impact their nuclear calculus. In his harangue of American diplomatic efforts with Iran, May draws parallels with North Korea and Iran. May argues that much like Bush's attempt at preventing proliferation of nuclear weapons in the Democratic People's Republic of Korea (DPRK), Obama will fail to prevent Iran's nuclear machinations from reaching fruition, due to our lack of a credible deterrent. However, this is an incorrect comparison for three reasons. First, no organization closely monitored the freeze of North Korea's plutonium enrichment program following the Agreed Framework negotiations. North Korea consistently worked against verification efforts, resulting in the International Atomic Energy Agency (IAEA) reporting in 1996 that it had been unable to verify their declarations. By 2000, the Director-General of the IAEA, Mohammed El Baradei, stated that little had been gleaned by the Agency since the initial agreement in 1994, because of uncooperative behavior on behalf of the DPRK. In stark contrast, Iran has worked closely with the IAEA on verification efforts, more so than either Saddam Hussein or Kim Jong-Il. In fact, the IAEA has been able to verify the initial declarations made by Iran over its nuclear stockpile. Secondly, Iran and North Korea are two separate nations, with two very different views on international engagement. Iran is a cosmopolitan nation that has a history of international engagement since the 1990s, whereas North Korea is a hermit nation that has formal, close relations with no nations outside of China and perhaps Russia. Their respective security situations--outside of being an enemy of America--are also different: the foremost concern of North Korea is maintaining internal security, whereas Iran is primarily concerned with establishing a sphere of influence within the Middle East. Finally, the failures of both the Agreed Framework and Six Power Talks were not because of an excess of "carrots", but a lack thereof. What May fails to realize is that immediately after the Agreed Framework, America began to heavily sanction North Korea over its missile program. This helped to sour the deal, reducing North Korean incentive to cooperate with the United States and international community. Thus, the resulting decade saw tensions ebb and flow, until a crisis in 2002 over North Korean uranium enrichment ultimately led to the Six Power Talks. In 2005, North Korea declared that it would forgo the development of nuclear weapons in compliance with the Non-Proliferation Treaty. However, immediately after this, America decided to increase sanctions, which once again reduced the impetus for North Korea to comply with expectations. To put it this way, North Korea presumably agreed to international pressures because it expected to achieve increased economic security. When this did not happen, what reason did North Korea's leadership have to continue playing along with American demands? None--because we established a precedent in which we would increase pressure, regardless if they complied or not. May contends that the Iranian hostage crisis reached its conclusion due to a fear by Iran that Reagan would use force to retrieve them. However, this is a misconception. Jimmy Carter had been in negotiations with Iran since before the 1980 election occurred. Originally, the Iranian government made ridiculous demands, necessitating Nigerian diplomats to be brought in as intermediaries. By the inauguration, an agreement had been reached, but not out of fear. In all likelihood, Iran was desperate to have American sanctions lifted in order to acquire supplies for their ongoing war against Iraq. It's also important to remember that America's previous military attempt to rescue the hostages, Operation Eagle Claw, was a massive failure. So it wouldn't make sense for Iran to believe that outcome would be any different under Reagan as opposed to Carter--neither were responsible with crafting military operations, their main role as Commander-in-Chief is create policy goals for the military to reach and sanction operations. Even with Reagan's plans to beef up security spending, the Iranian hostage crisis did not make up a major plank in his 1980 presidential platform, he instead emphasized the need for a strong nation defense against the Soviet Union and advocated for a shift to supply side economics. Therefore, it's questionable that Reagan's election played a significant role in Iran's calculus. Contrary to what May asserted, America will not be using its tax dollars to fund Hamas. Both Hamas and Fateh have agreed that the unity government will not be composed of Hamas members, but rather independent technocrats until elections can be held. Given the massive unpopularity of Hamas in Gaza, it's unlikely that they will be able to establish a monopoly on influence in Palestine's new government. Therefore, this would represent a step towards deradicalization in Gaza and undermine Iran's influence there. Instead of Hamas controlling all political operations within the territory, the significantly more moderate and less violent Fatah party will have shared power. Furthermore, it's not as if America is throwing its political weight behind Hamas. John Kerry stated that funding will be based on the actions of the Palestinian Unity government. This is a perfectly valid position to take: we're neither preemptively increasing our support of Palestine nor condemning it to failure. Instead, we are proceeding normally. If Israel's security is substantially diminished by this development, then we can easily pull back our funding of the government. Of course, all of this presumes that a unity government will, in fact, stay erected. Fatah and Hamas entities have agreed upon establishing a unity government in the past. However, plans always fall through. My guess would be that Hamas recognizes the threat it presents to its power hold in Gaza. But with conditions deteriorating, relations with Iran dwindling, and internal unrest increasing, they very well may believe that they must give up some power in order to retain any at all. Out of all the arguments made by May, this easily holds the most weight. Last summer, America failed to go through with a red line we set against Assad: to not cross the chemical threshold. While I myself believe that it was a stupid position to take in the first place, it does not change our original threat to utilize force against Assad should he deploy chemical weapons. However, credibility is situational, not categorical. The actions of a nation in one situation do not necessarily reflect its willingness to take action in another. Take the Cuban missile crisis. Following our successful gamble, no one in Washington suddenly questioned the Soviet Union's willingness to respond against American aggression in Berlin. Not every crisis or transgression rates the same to countries, and chemical weapons use in Syria is no different. For the United States, upholding the Convention on Chemical Weapons is a low priority. In the 1980s, we aided Saddam Hussein in the manufacturing of chemical weapons to use against Iran, and then subsequently gave him the tactical intelligence to effectively employ them. Syria's chemical weapons has never been a major issue for the American foreign policy establishment: we've never put in place massive sanctions on Syria for its arsenal, never held meetings to dismantle infrastructure (prior to the August attacks, at least), or launched cyber attacks to dismantle Syrian chemical weapons infrastructure. Unlike Syria, Congress is out for blood in regards to Iran's nuclear program. Senators from both parties have tried to undercut American diplomatic efforts in order to place even more stringent sanctions against Iran. The is very little doubt that congress would impede Obama's attempts to strike Iran. All of this signals a much stronger resolve to prevent the acquisition of nuclear weapons by the Iranian government, because the stakes of nuclear proliferation are significantly higher than that of chemical weapons use. In early 2014, the world witnessed something never before done by al-Qaeda: expulsion of a formal branch, formally ending all ties to and distancing themselves from the even-more-radical Islamic State of Iraq and ash-Sham (ISIS or the Arabic acronym Da'esh). The group, led by a man named Abu Bakr al-Baghdadi, has its roots in the former Islamic State of Iraq--also known as al-Qaeda in Iraq (AQI). Nowadays, however, they seem to be playing by their own rules in their rampage of swallowing up towns and cities in western and northern Iraq. While they may have lost and are losing ground in Syria, the exact opposite seems to be taking place in Iraq. Before they were known as ISIS, the group had its origins in Jama'at aT-Tawhid wal-Jihad. The group's leader, Abu Musab al-Zarqawi, a shadowy figure with a long history of ties to al-Qaeda, swore allegiance to Usama bin Laden after the US-led invasion of Iraq. The swearing of bayat (loyalty) effectively made them change their name to Tanzim Qaedat al-Jihad fi bilad ar-rafiydan--better known as al-Qaeda in Iraq. AQI was one of the fiercest groups fighting the American-led coalition of troops. One perfect example of their effectiveness in Iraq was the bloody Battle of Fallujah in 2004, in which around fifty US servicemen lost their lives and more than 400 were wounded. In 2006, al-Zarqawi was killed in an US airstrike. A man named Abu Ayyub al-Masri then took the helms, who quickly established the Mujahideen Shura Council (MSC). The MSC, who's leader was Abu Omar al-Baghdadi, was a coalition of several Sunni jihadist groups, including AQI. Eventually, however, the MSC disbanded and the Islamic State of Iraq was born. In a joint-American-Iraqi raid in 2010, both al-Masri and al-Baghdadi were killed. A little known man with the kunya (a teknonym) Abu Bakr al-Baghdadi then took the helms of the Islamic State. Since early this year, al-Qaeda (AQ) forces in Syria, notably Jabhat al-Nusra (JN), have been fighting against their former brothers-in-arms in the ISIS. To summarize these events, al-Baghdadi tried to merge JN into his own organization calling it the Islamic State of Iraq and ash-Sham; it is, however, worth noting that JN is thought to have been formed from former al-Qaeda in Iraq fighters. When the emir of JN, Abu Mohammad al-Julani, refused to be merged into al-Baghdadi’s group and instead pledged allegiance, or rather publicly declared his allegiance to the emir of al-Qaeda Ayman al-Zawahiri, all hell broke loose inside Syria. Al-Zawahiri, knowing full well the consequences of Julani’s actions, tried to reconcile the two fighting emir’s problems in a letter addressed to both of them. Al-Baghdadi then subsequently denied Zawahiri’s request; Zawahiri was then forced to send trusted individuals, like Abu Khalid al-Suri, to mediate the differences. When nothing positive came into fruition, al-Zawahiri then issued a statement that kicked ISIS out of al-Qaeda. In January of 2014, ISIS effectively took control of both Ramadi and Fallujah. This established a foothold of territory stretching from ar-Raqqa in Syria to the heart of al-Anbar Province in Iraq. Following the capturing of these two cities in the heart of the Sunni Triangle, ISIS has been pushed out of several towns and cities inside Syria. While they still control some areas near Dier az-Zour and all of ar-Raqqa, ISIS seems pretty content with leaving other towns and cities and focusing on the Kurds in Rojava (Syrian Kurdistan). It is in Rojava where they just recently massacred fifteen Kurdish civilians, many of them children. On the Iraq front, however, there seemed to have been lull in the fighting for ISIS. Until now. On June 9th 2014, ISIS took complete control of Mosul, Iraq's second largest city. On June 11th, ISIS took complete control of Tikrit, the hometown of Saddam Hussein, and complete control of Bayji, home to Iraq's largest oil refinery. In addition to controlling the heart of the Sunni Triangle and several other cities and towns in al-Anbar, they are in total control of Nineveh Province, and large parts of Salah ad Din Province and Kirkuk Governorate (this puts them in control of almost a third of the country). There are also reports of ISIS moving towards Samarra in what appears to be a blitzkrieg towards Baghdad. In almost all of these attacks on cities, they were heavily organized and showed a level of strategic-depth for ISIS's military commanders. According to a New York Times report: "In Tikrit, the home town of Saddam Hussein, residents said the militants attacked in the afternoon from three directions: east, west and north." This offensive also showcases how unprepared the Iraqi military is in dealing with this large of a terrorism threat. From the same NYT article, "Witnesses reported some remarkable scenes in Tikrit, where soldiers handed over their weapons and uniforms peacefully to militants who ordinarily would have been expected to kill government soldiers on the spot". If Samarra is taken, ISIS will be only 78 miles away from Baghdad. It appears to be almost certain Samarra will be the next to fall and then it will be only a matter of time before they try and take Baghdad. If one thing is for sure: Iraq's capital is in al-Baghdadi's crosshairs. One must wonder if al-Baghdadi is beginning to comply with Ayman al-Zawahiri's demands of returning to Iraq; something al-Baghdadi has vehemently opposed in the past. It may be too early to tell, but I believe we should not rule out this possibility knowing ISIS's reversal in Syria. We should keep a keen eye out for any statements or addresses confirming or denying this possibility. Iraq now faces a large problem from not only this large, existential threat from ISIS, but also in now having to do what they seem to not want to do: work in cooperation with the Kurdistan Regional Government (KRG), Peshmerga forces (Kurdistan's military), and Sunni tribes to work together to combat a mutual threat. Hopefully, this will come as a realization for the Maliki government in the need for unity and cooperation between all sects and parties in his country. This Washington Institute report outlines exactly what needs to be done between the Shia-dominated Maliki government, the KRG and the Sunni's of Iraq. The United States can also help Iraq in this dire situation. While no one in Washington really wants to go back to Iraq, it may be in our best interests to at least fast-track weapons sales to Iraq, expand a training program for elite Iraqi soldiers, and offer logistical and intelligence support. Too many Americans lost their lives fighting for a stable Iraq for us to sit back and let Iraq implode. We need not send troops back, but we should at least assist Iraq in their fight. Note: The map above belongs to The Long War Journal. I take no credit for the making of the map; all credit goes to those responsible at the LWJ. In the wake of the news that Army Sergeant Bowe Bergdahl was released by the Taliban in exchange for the "Taliban Five" held in Guantanamo Bay, Cuba, the Taliban have released a video (shown above) showcasing the handover between them and apparent U.S Special Operations soldiers. While the mainstream media and the everyday person may not be aware of who, exactly, took Bergdahl, it is important to note which group is responsible for his kidnapping. It is important to understand this because the group responsible is one of the most vicious and effective militant groups fighting NATO and ISAF forces in Afghanistan. The group I am referring to is, of course, the Haqqani Network. The Haqqani Network was formed during the Soviet War in Afghanistan around a man named Jalaluddin Haqqani. Jalaluddin, a native of Paktika province and an ethnic Pashtun, quickly rose through the ranks of the Afghan resistance and became a powerful military commander. During his exploits as a notorious effective warlord, he established connections with both the Pakistani Inter-Service Intelligence (ISI) and the American Central Intelligence Agency (CIA). Reportedly, one reason why the US funded Jalaluddin at this time was because "He could kill Russians like you wouldn’t believe". Unfortunately, Jalaluddin was also establishing ties with Usama bin Laden (UBL) around this time. UBL had constructed training camps within Haqqani-controlled territory, which was then overseen by Jalaluddin. After the Soviets withdrew from Afghanistan and after the communist government in Afghanistan fell, the country fell into complete anarchy with various former resistance and anti-communist forces fighting each other for power (read "Ghost Wars" by Steve Coll for an excellent understanding of this chaotic time in Afghanistan's history). One such group was the Pakistani-funded Taliban movement led by Mullah Mohammad Omar. As the Taliban were gaining power and territory in Afghanistan in the mid-1990's, Jalaluddin decided to join the movement and he started to quickly command troops in fights against the Northern Alliance and forces allied to Gulbuddin Hekmatyar (a former ally of Jalaluddin). After serving many positions in the Taliban government of Afghanistan, Jalaluddin was appointed the overall military commander of the Taliban forces in late 2001. After the US invasion of Afghanistan, the Haqqani Network quickly became one of the most deadly and effective fighting forces resisting the NATO and International Security Assistance Force (ISAF) troops. They are responsible for several terrorist attacks in Afghanistan, including two suicide attacks on the Indian consulate in 2008 and 2009 (makes you think about their connections to Pakistan, right?). Today, the Haqqani Network (HQN) is classified as a Taliban subgroup that mainly operates in the Afghan provinces of Khost, Paktika, and Paktia, but are also found in Logar, Kandahar, Badakhshan, and many other provinces. They also control large swaths of ground in the North Waziristan tribal agency of Pakistan, where they run training camps for al-Qaeda, the Taliban, and various other terrorist groups that operate in the region. To make matters worse, Jalaluddin's old ISI connections are still very active. In 2011, Adm. Mike Mullen accused Pakistan of sponsoring HQN attacks on US troops. The US State Department has designated various members of the HQN as terrorists, as well as blacklisting the entire group as terrorists in 2012. The US Treasury Department has also blacklisted various Haqqani militants, including Saidullah Jan, Yahya Haqqani, and Muhammad Omar Zadran. These three individuals have extensive roles within both the HQN and the Taliban; they also have deep connections to al-Qaeda (AQ). According to the Treasury Department, Saidullah was not only designated for being a top leader in the Haqqani Network, but was also "was trusted by Al-Qaida (AQ) members as an HQN associate who could help with any trouble, including arrest". Yahya was noted as serving "as a liaison between the HQN and AQ and he has maintained ties with AQ since at least mid-2009. In this role, Yahya has provided money to AQ members in the region for their personal expenses. As of mid-2009, he acted as the HQN’s primary liaison with foreign fighters, including Arabs, Uzbeks, and Chechens". Finally, Zadran was " in charge of smuggling explosives into Afghanistan" for HQN and various militant groups. These aren't the only members with extensive ties to AQ; Sirajuddin Haqqani, Jalaluddin's son, is thought to be a member of AQ's top Shura council; Khalil al-Rahman Haqqani, Jalaluddin's brother, is a key fundraiser for HQN and AQ and serves on behalf of AQ's shadow army, Lashkar al-Zil, in Afghanistan. It is clear to me that the people who took and held Bowe Bergdahl are terrible, terrible people who are associated with one of the worst terrorist organizations in the world. While it is great that the Taliban and Haqqani's agreed to negotiate for Bergdahl's release, this does not mean that this will bring them to the negotiation table for peace. In fact, Zabihullah Mujahid, the Taliban spokesperson, said this of the prisoner transfer: "It won't help the peace process in any way, because we don't believe in the peace process". Sadly, it seems the reign of terror imposed on this region by the Taliban, AQ, HQN and a slew of other terrorist and militant groups will continue for the foreseeable future. What's a navy to do? In the midst of the Ukrainian crisis, the last subject analysts have broached is the need for the government in Kiev to formulate a maritime strategy. Since the de facto Russian invasion of Crimea in March, the Ukrainian fleet has been gutted and reduced to a small flotilla. Now, prior to the Crimean crisis, the Ukrainian navy was now in exemplary form. Many of the ships Russia acquired in the seizure of the peninsula are decrepit, useless in modern naval operations in any other capacity than a target or decoy. However, that said, we have seen the way Russia has utilized its fleet in combat operations. The Russian Navy completely blockaded Ukraine's port in Sevestapol and used ships to augment ground operations. In 2008, the Russian fleet blockaded the Georgian coastline, ferried troops, and sunk most of the Georgian fleet. If these capabilities weren't enough, Russia is also implementing a modernization plan aimed at greatly increasing the abilities of the BSF by 2020, illustrating the premium Putin has placed on maritime power in Russia's plans for regional hegemony. Given that a sizable portion of Ukraine's economy relies on international trade (much of which is transported via sea lanes), and the potential for amphibious operations on its coastline, it would seem pertinent that Kiev develop a maritime strategy. Perhaps not today, as their foremost concern should be quelling rebellion in Eastern Ukraine. However, definitely as time goes on they will need to adopt sufficient counter-measures. Similar to the proposals I have offered for Georgia, it would probably be within Ukraine's interests to adopt a strategy based around Anti-Access/Area Denial. As we've seen, A2/AD strategies have been employed effectively on a theoretical level. In 2002, General Paul Van Riper utilized an anti-access strategy during Operation Millennium Challenge, a wargame aimed at reaffirming American network-centric warfare capabilities. However, it really illustrated major flaws in our ability to counter threats in littoral areas. In 2010, a RAND Corporation simulation revealed that China could establish aerial dominance over Taiwan by using ballistic and cruise missiles to strike a devastating decapitating strike at American air and naval bases in the region. Bernard Cole reaffirms China's Anti-Access capability in his 2011 book, The Great Wall at Sea, where he details the aspects of Chinese naval strategy, which incorporates submarines, mines, missiles, and aircraft to keep America outside of the second island chain. The Ukrainian Navy already fields anti-ship missiles. The P-500 Bazalt is one example of this. For Ukraine, the goal should be to convert a substantial number of these missiles to be able to launch from terrestrial platforms. Land based cruise missiles would be more difficult for the Russian Navy to counter, as compared to relatively defenseless boats in harbor. But more ingredients must be added to this maritime strategy. The use of mines could be employed by Ukraine to defend its territorial waters from Russian intrusion, as well. During World War Two, mines laid in the Pacific Ocean from April, 1945, to Japan's surrender were responsible for 670 damaged or sunk ships. Of the 18 ships sunk or seriously damaged since World War Two, 15 incidents have been from mines. Therefore, mines should play a critical role in Ukrainian naval defense. Next, Ukraine should also further integrate naval special warfare units into its maritime strategy. Using SOF to sabotage naval bases could put a serious dent into Russia's ability to effectively operate. Moreover, these units can also be used to conduct anti-piracy operations, which would help strengthen its relationship with NATO. Finally, Ukraine still needs ships to guard SLOCs from harassment, conduct patrols, and act as visual deterrents. These ships do not have to be large, expensive pieces of equipment. Patrol or missile boats should suffice. Of course, there are a couple of issues with the strategy I mentioned. First, Georgia's air defense corps was already an effective body prior to the South Ossetian conflict in 2008. This is one reason why I originally argued for Georgia to adopt an A2/AD strategy: they already had a body of soldiers capable of fulfilling an air defense role, so expanding that into anti-ship would not outside the realm of possibilities. Ukraine's entire military, on the other hand has fair quite poorly against Russia's exertion of force against them these past few months. It was quite evident that if they had to, Russian forces could perform quite well against their Ukrainian counterparts stationed in the Crimean Peninsula. Secondly, there is an issue of if this strategy is economical or not. While missiles are certainly less expensive than ships, one has to factor in R&D, platform, mine, and missile production costs associated with developing an Anti-Access/Area Denial force. If it does break the bank, then a reevaluation of the aforementioned strategy would be needed. Ukraine is not an economic, military, or political powerhouse. They have a number of short comings that must be factored into analyses of their situation. Especially as it pertains to their potential strategic options. They cannot afford a ship-for-ship strategy against Russia. It is simply impossible for them to do so, and trying that out would take away resources that could be devoted towards other procurement and development programs. At the same, though, they cannot afford to ignore Russia's looming presence in the Black Sea. Thus, it is reasonable to assume that A2/AD will be the most efficient model for maritime defense against future Russian encroachment. This page is dedicated to 'big picture' analysis pieces concerning contemporary security issues.